You name it they got it, who? Shorty Tours is the best choice when going on a souvenir hunt. Craftsmen, crafts women, crafts vendor whatever you desire to call them, they got the stuff you need and Shorty Tours can take you there. Giving you the opportunity to take home something memorable and significant to your stay here in Jamaica. Travel in comfort trusting you will be well taken care of as well as taken to the best shopping sites Jamaica has to offer. Boasting numerous craft sites island wide your shopping experience is definitely in the domain of shorty tours. Be sure to email us at ShortyTours20@gmail.com or by calls on 1(876)372- 3360. HOW ARE JAMAICAN CRAFTS MADE? The end result will find its way on your wall, in a conference room and even in some case in a museum. The process of making simple material into a work of art is a gift Jamaican craft makers possess. Many craftsmen starts the process by selecting a specific type of wood, whether cedar, mahogany, oak or mahoe. They normally have a wide variety of wood chisels which are all used during the carving process. Once the concept is completed carved, then multiple grades of sandpaper is used to getting skin-like smooth. The craft is later polished or painted to get the desired look and feel of the artist / crafts-person. 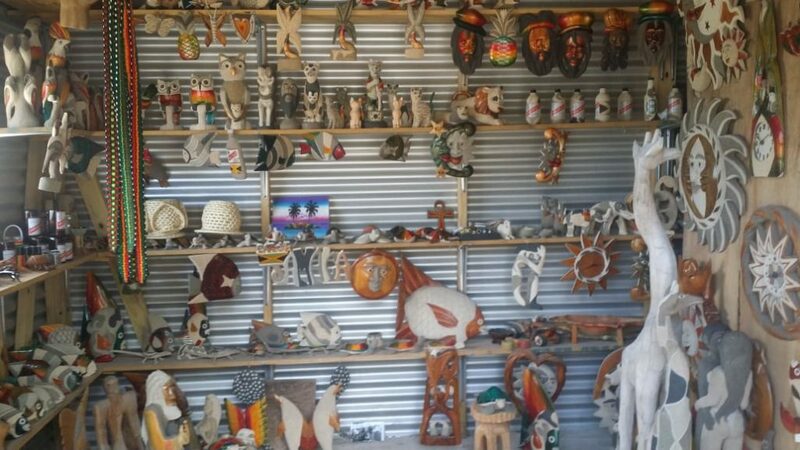 Jamaican crafts are normally brought by tourist and locals alike as keepsakes. These memorabilia helps to preserve that specific memory of your Jamaican getaway or vacation. Crafts can be found at craft markets with man locations all over Jamaica and even at ports of entry. Another Montego Bay location, opened in 2009 is deemed fresh. The OLD FORT CRAFT MARKET is known for hand crafts and many other hand made items. Vendors here also makes your jewels right there on the spot, they also do custom made deigns to order. Located in Montego Bay this craft market boasts hand made Jamaican products such as; coconut– palm baskets, woven hats, wood carvings and paintings. One of the largest craft markets numbering over 100 vendors. 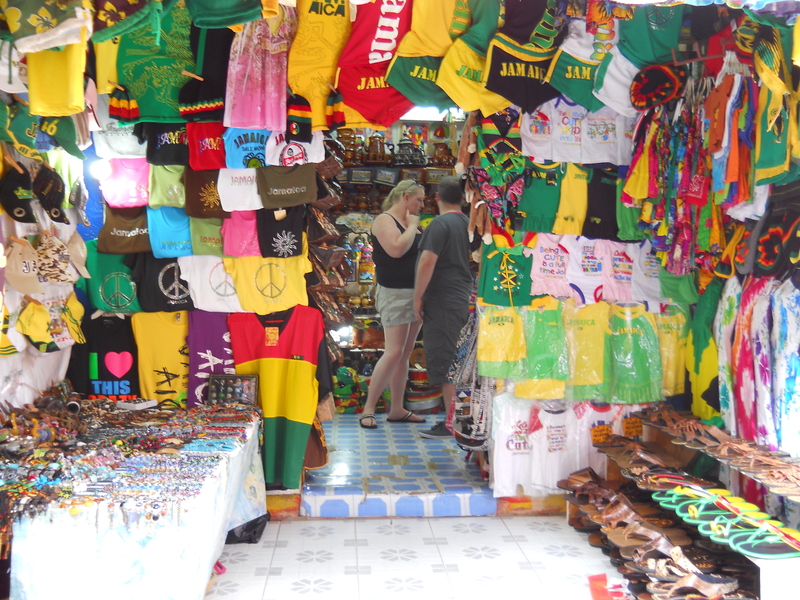 The Ocho Rios Craft Market also houses the Pineapple Craft Market. A few of the many items marketed here are; wooden crafts, food, straw hats and bags and yes; authentic Blue Mountain Coffee. Found inside the Ocho Rios Craft Park and no they don’t sell pineapples what they are known for are their exquisite Coffee Bean Necklaces and carved wooden figurines. Portland it is featured in its capital city. Do you love rum? well all the various Jamaican Rums are showcased here. From the infamous Rumona Liqueur as well as the Ian Sangster‘s Rum Cream along with locally made Jams and Spices. Another Ocho Rios stop, your options here are global. I can guarantee you will enjoy the Island Village; home of the famous Bob Marley statue done by Jamaican Christoper Gonzales. From your Bob Marley/Rasta items, straw and wooden pieces for your homes. You most certainly would want to take a load off at the Margaritaville Restaurant and Bar or maybe indulge your sweet tooth at the Devon House I- scream. Tee shirts, hats, dolls, paintings, towels, Blue Mountain Coffee, jams, spices stone jewelries wood carvings rum liquor especially the Sangster’s rum cream. Book now the best shopping experience awaits you when you make Shorty Tours your guide. Copyright © 2019 Jamaica Airport Taxi and Tours Travel Blog. All rights reserved.